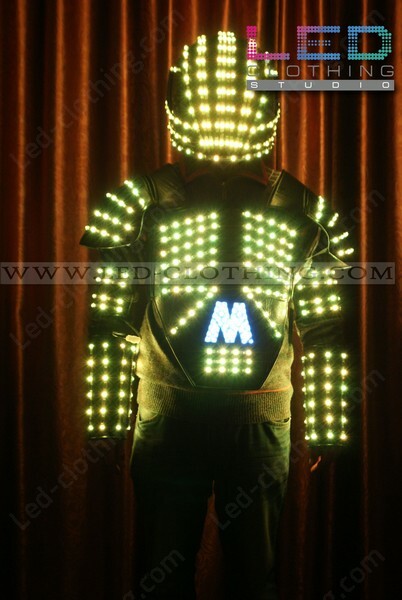 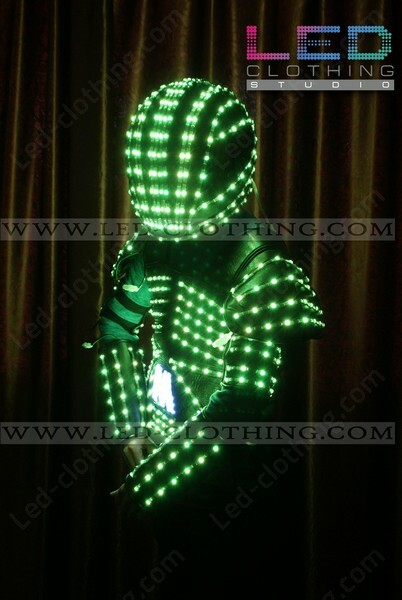 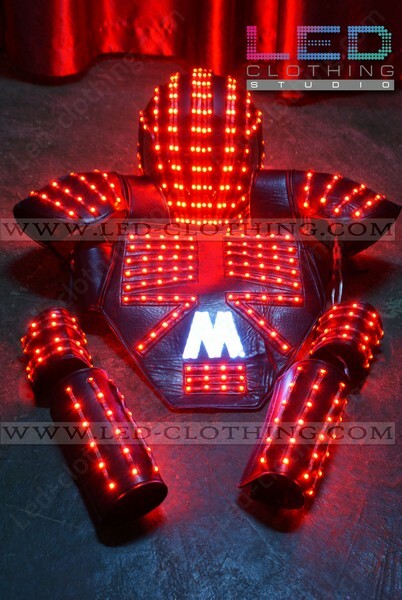 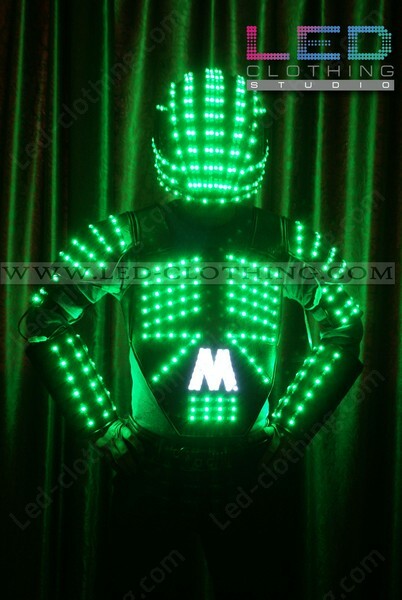 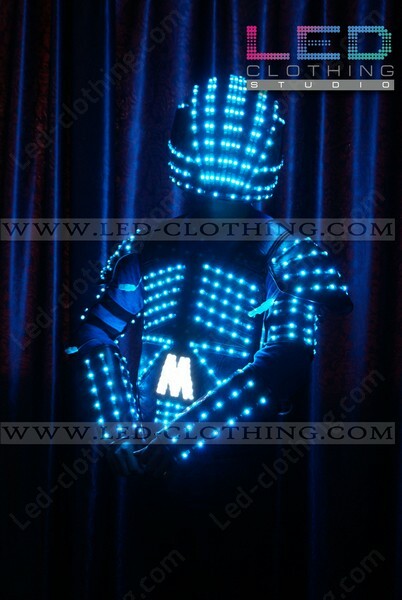 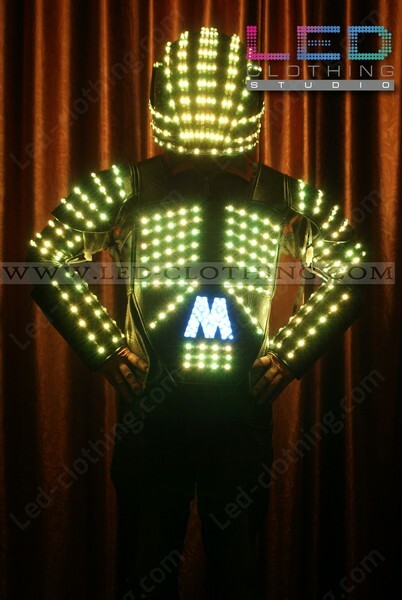 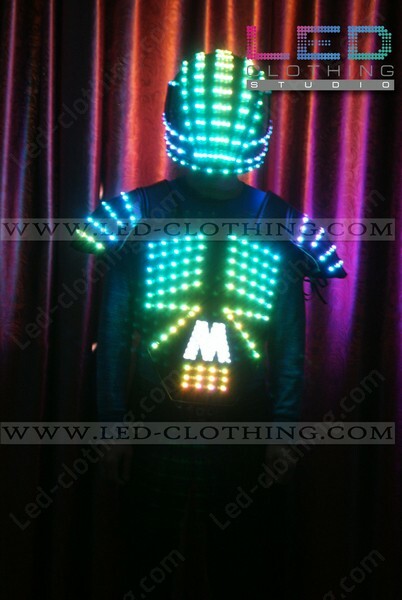 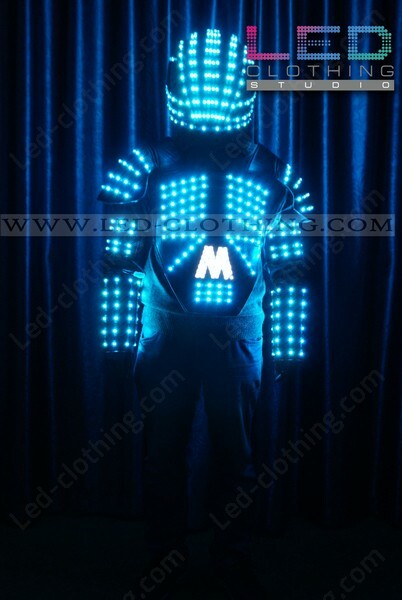 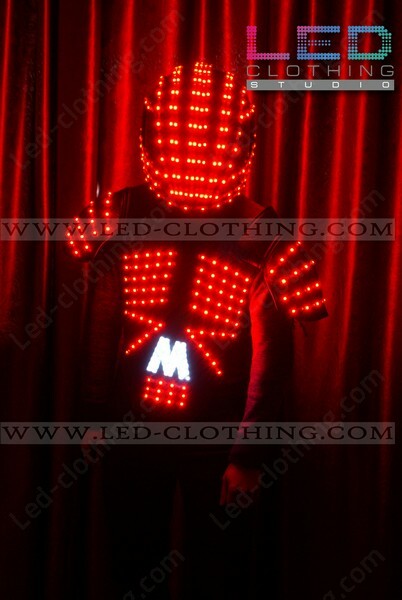 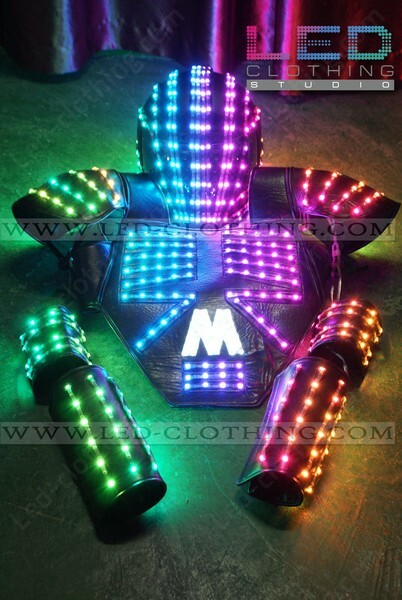 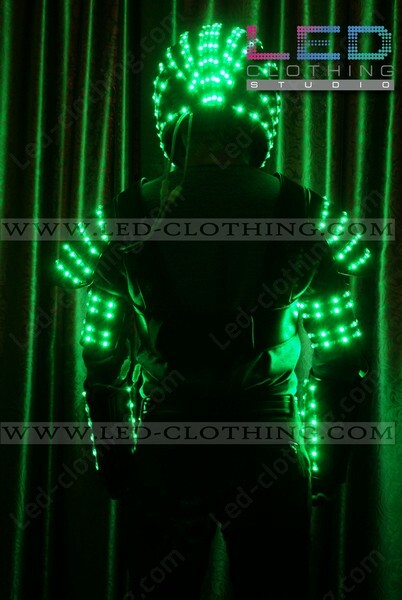 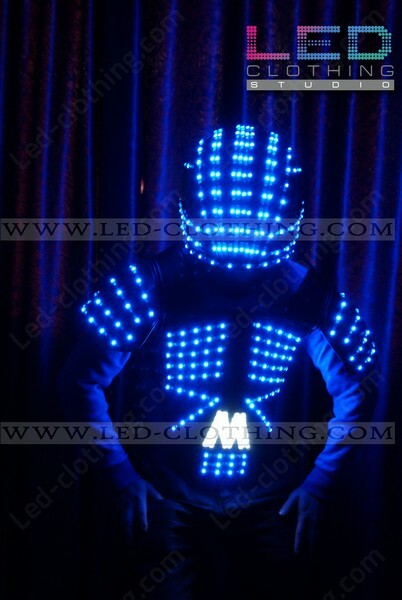 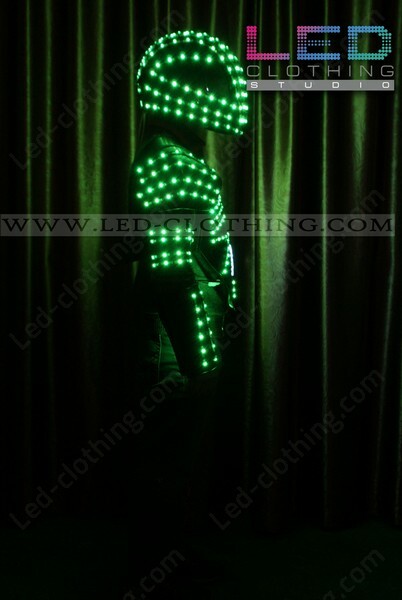 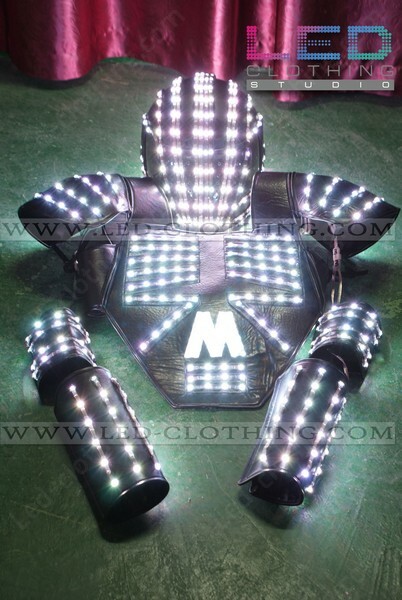 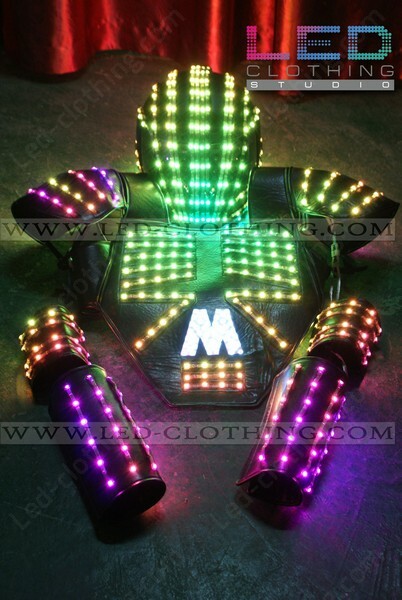 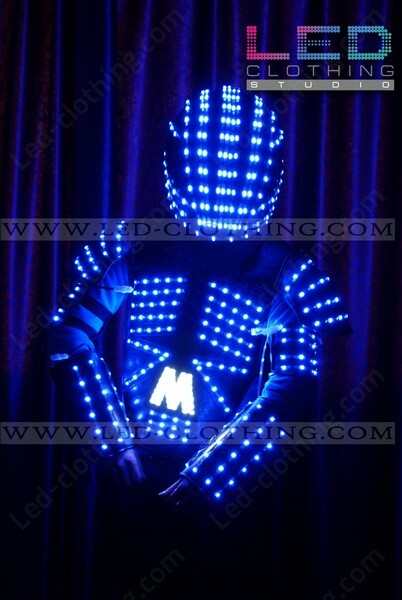 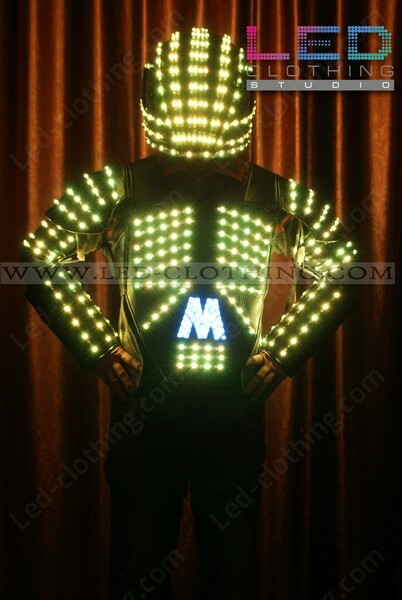 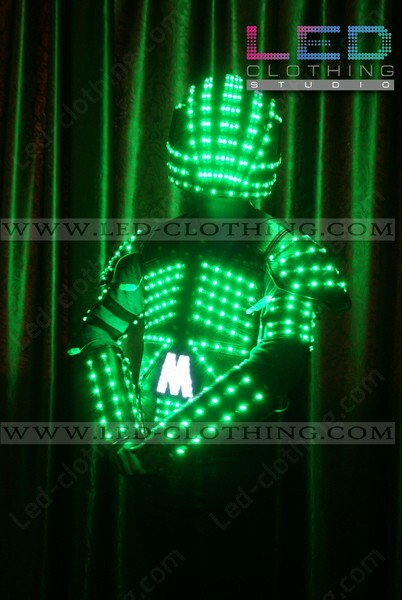 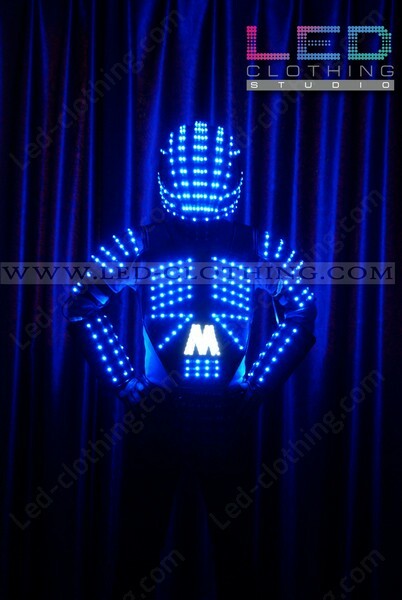 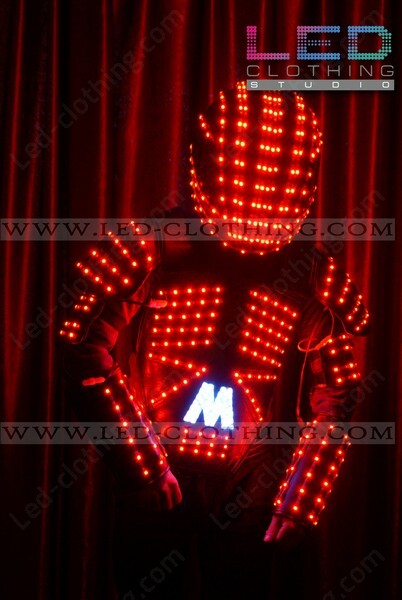 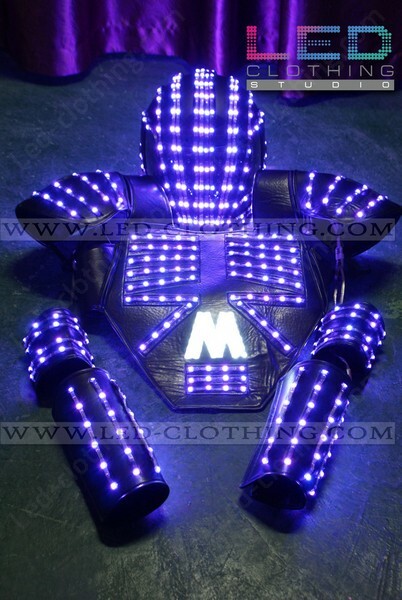 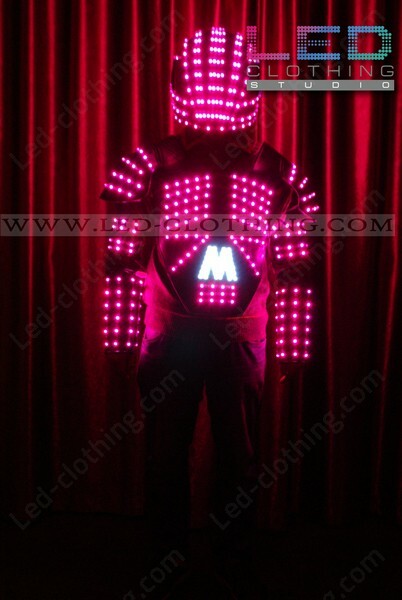 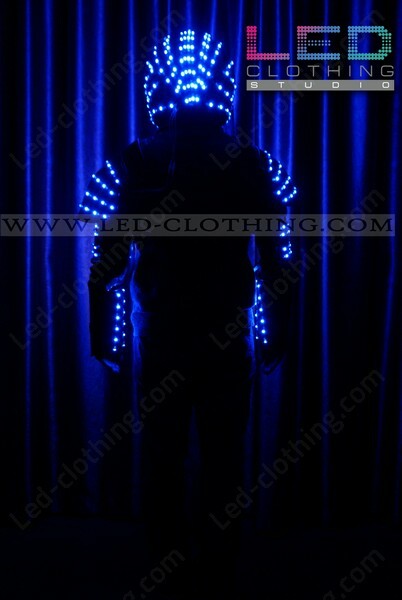 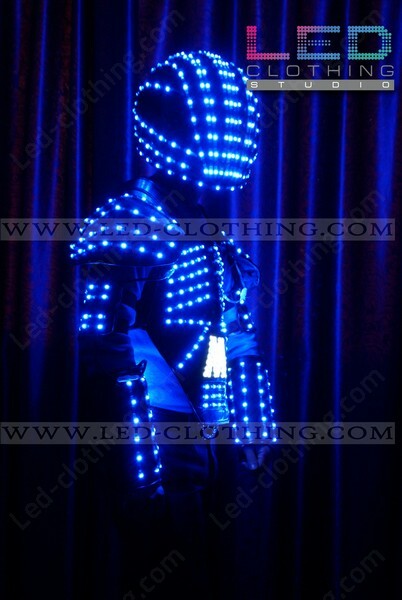 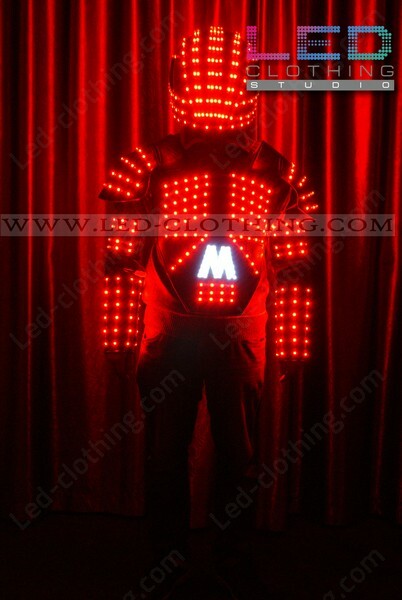 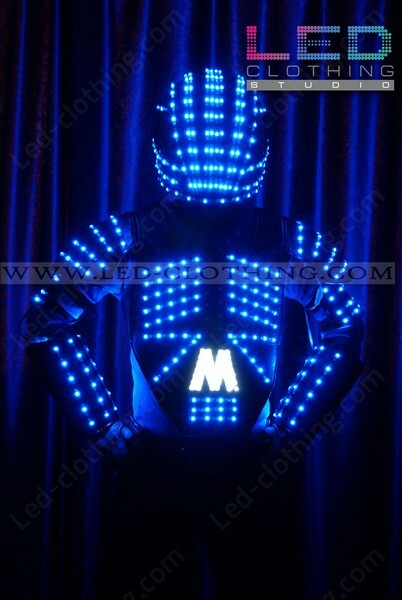 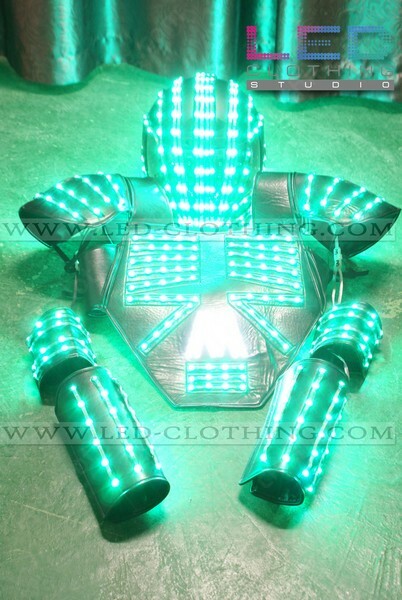 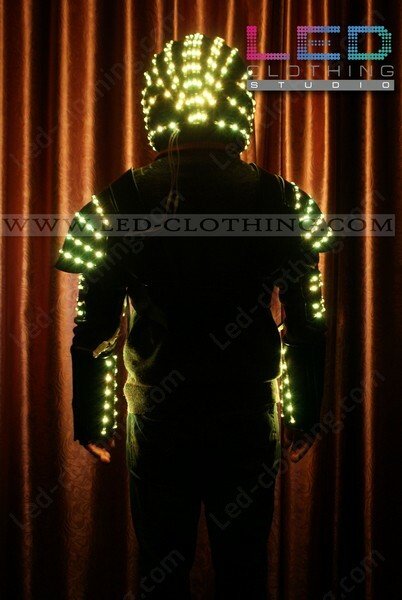 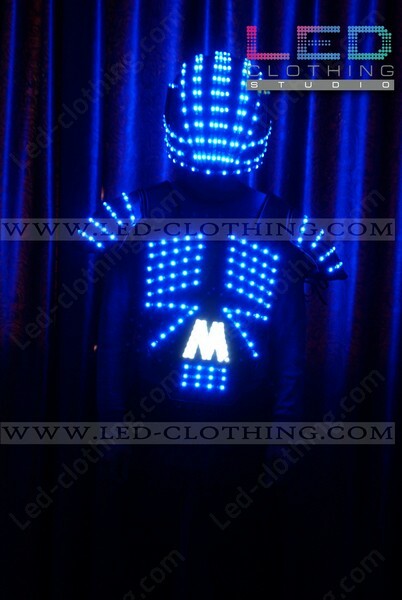 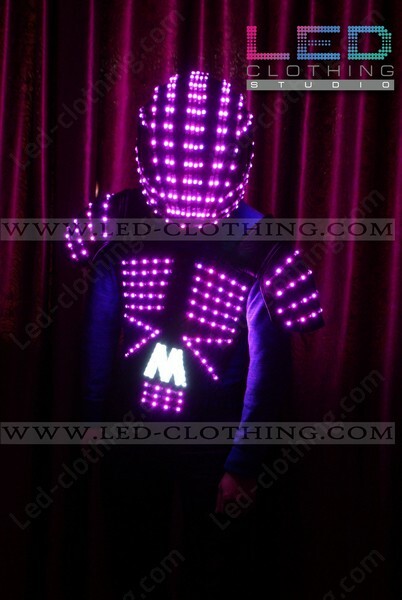 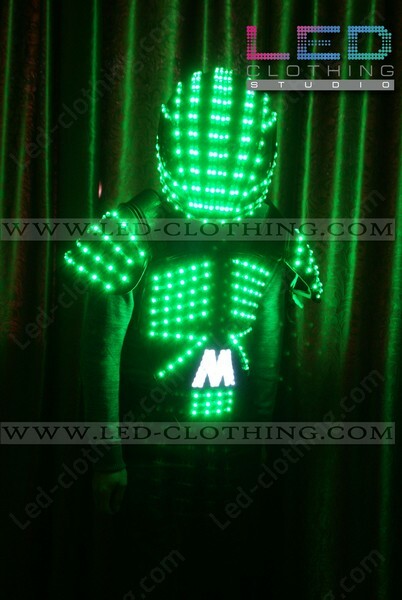 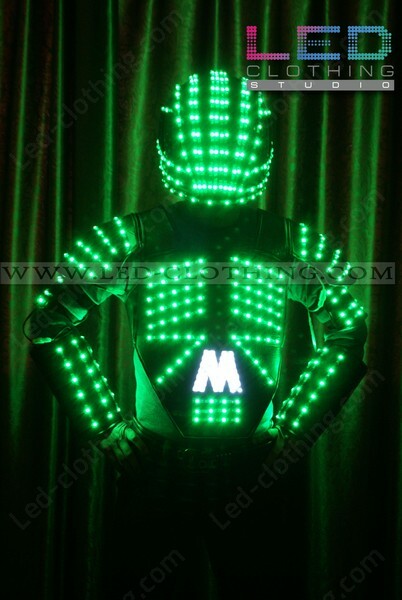 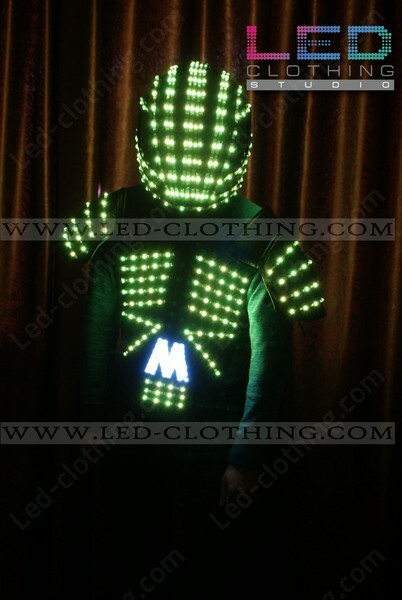 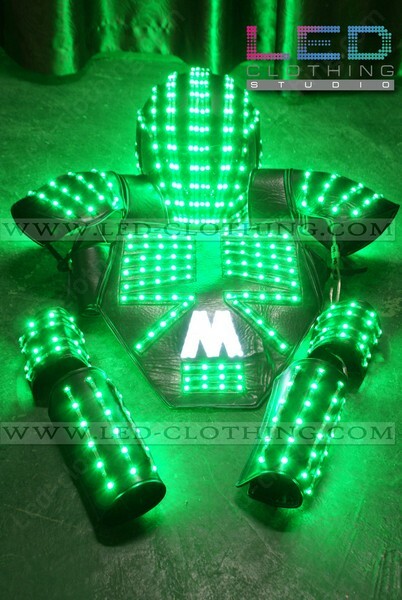 Robot LED vest with helmet | LED Clothing Studio Inc.
Based on our Kryoman LED outfit model this costumes features a Rbot LED shoulder pads vest with helmet. 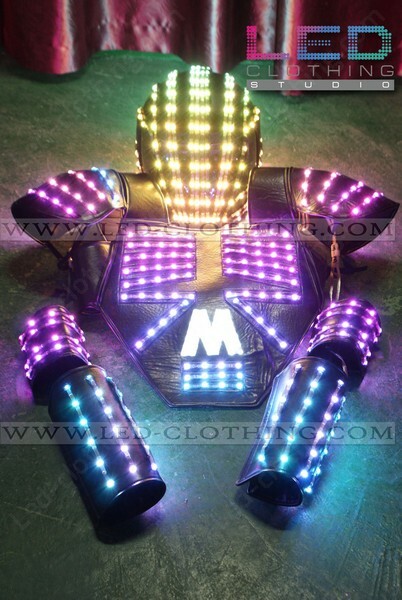 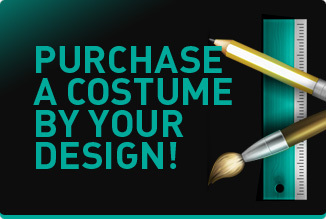 Choosing this type of outfit is reasonable when you need to swiftly change it during a performance or night show. 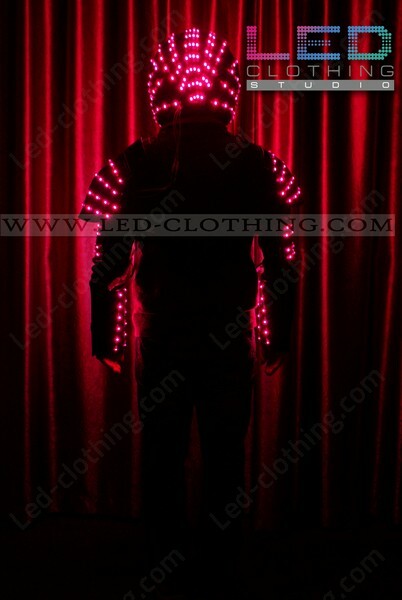 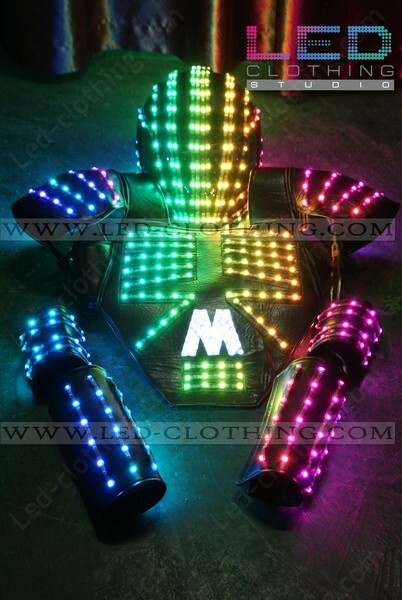 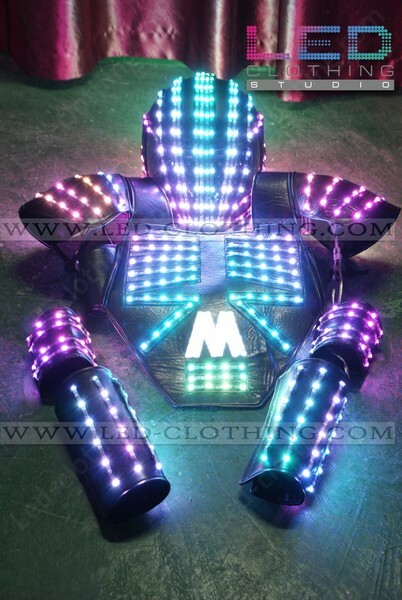 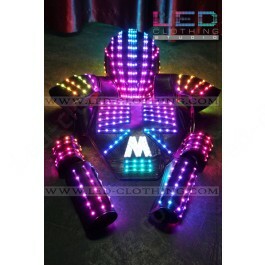 Easily unstrapped the Robot LED vest comes along with quite a number of luminous patterns and will leave no space for boredom wherever you wear it to. 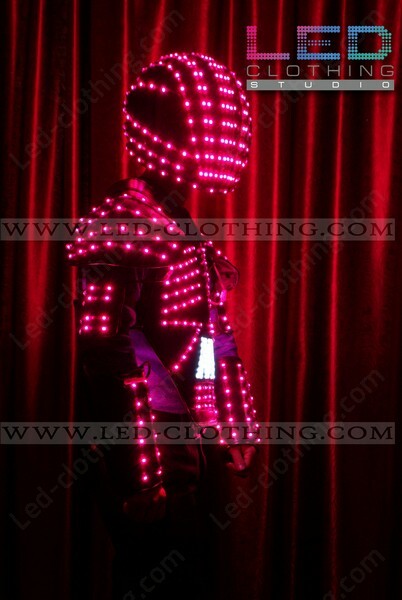 Robot your way through the dark! 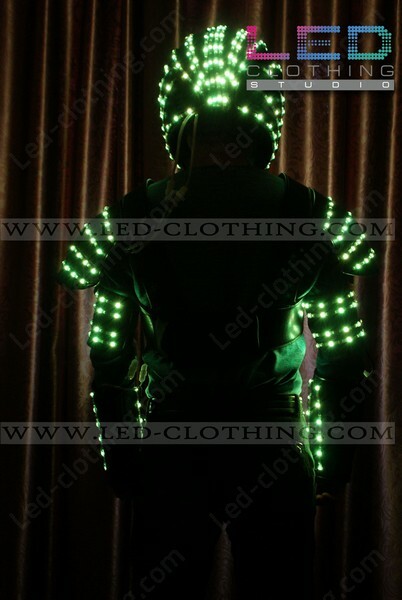 The costume is made in our LED Clothing Studio in Seoul, South Korea with premium quality SHOCKPROOF ultra bright LED bulbs of 6th generation and elastic breathable fabric, and powered by 10000mAh rechargeable batterie that lasts approximately 4 hours of continuous usage.